At TrizCom PR, we use proven, successful best practices with everything we do. This includes using the best, most relevant tools. Tools are supposed to make lives easier, right? But there are a bazillion online tools that swear they’re the best. Since we understand the power of a word-of-mouth promotion and the value of a recommendation, we’re giving you an insight into the way we work to make your life easier. Below find 10 PR tools that we love, we use and we recommend. Trust me when I say that in my 20-plus years doing public relations, I have tried almost every news clipping service available. While a few are better than most, none capture all of our clips. One of these days, someone will develop a comprehensive news clipping company; until that time, we’re left with piecemeal. Google Alerts – You can get emails when new results for a topic show up in Google Search. For example, you can get info about news, products or mentions of your name. Using Boolean search terms, select the keywords you want to monitor and select the delivery times. Search results will be emailed to your inbox. 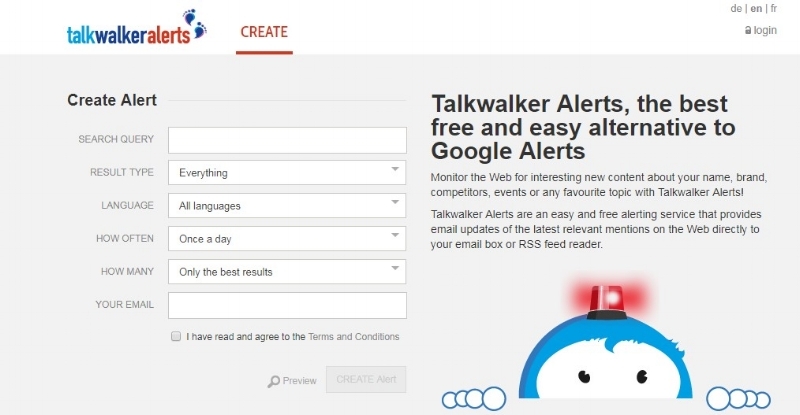 TalkWalker – Monitor the web for interesting new content about your name, brand, competitors, events or any favorite topic with Talkwalker Alerts. Talkwalker Alerts is an easy and free alerting service that provides email updates of the latest relevant mentions on the web directly to your email inbox or RSS feed reader. 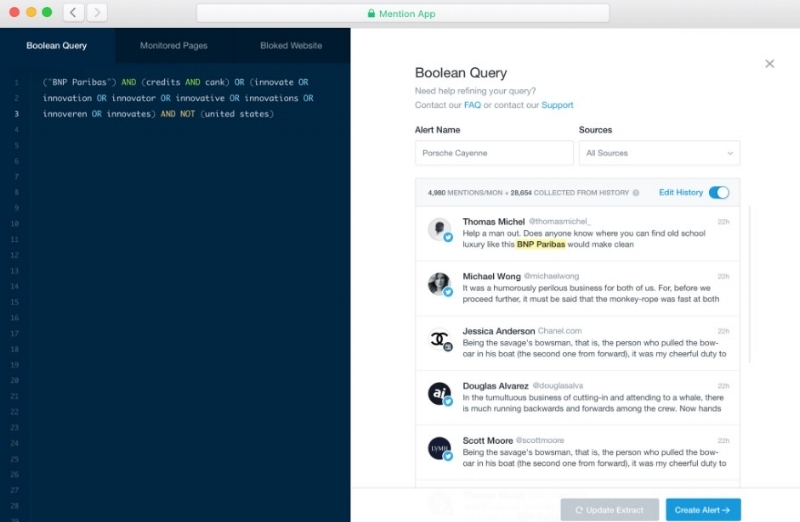 Mention – Easily monitor over 1 billion sources daily including social media, forums, blogs and the rest of the web. Boolean alerts help you zero in on your brand, competitors and customers for precise market research. Google Trends allows users to measure the interest of a particular search term at a macro or micro level. Users can see how popular (or not) a term is right now or five years ago. Users can filter their results in real time and non-real time. Real time is a sampling of data from the last seven days. Non-real time is a more historical sampling. Users can select a custom date range or a preset date range. Canva allows the user to easily create beautiful designs and documents. Use Canva's drag-and-drop feature and professional layouts to design consistently stunning graphics. Themed Days – Nowadays, there is a national themed day/awareness day/of the week holiday for everything under the sun. Just this month we see World Vegan Day, National Sandwich Day, World Kindness Day, National Adoption Day and Women's Entrepreneurship Day. These are pretty normal, albeit creative, days. Now here are some off-the-charts odd days – National Clean Out Your Refrigerator Day, National Candy Day, Use Less Stuff Day and my favorite, Red Lipstick Day (I kid you not)! Basically, if you’re looking for a themed holiday, I can almost bet that you can find a day for it. 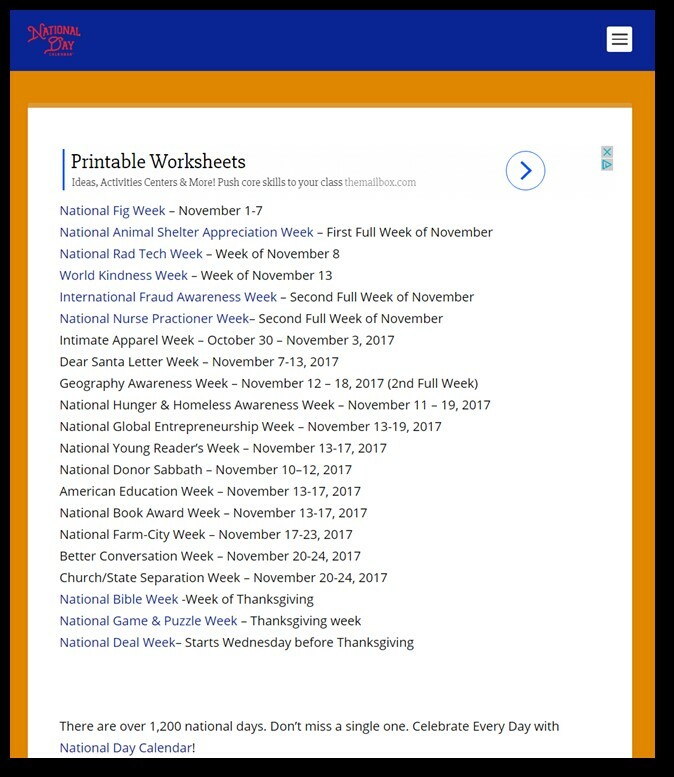 For a calendar of ideas, go to https://nationaldaycalendar.com. At TrizCom PR, we love these types of themed days because they give us additional content to write and, more importantly, unique content to weave into a relevant news pitch. Answer the Public – We’re all searching for something. The auto suggest results provided by Google and Bing are a goldmine of insight for today’s marketers. As you type, you are presented with an aggregated view of the questions and therefore a hint of the motivations and emotions of the people behind each search query. It’s perhaps one of the best but most underutilized sources of research for content ideas. The Hemingway app makes your writing bold and clear. It's like a spellchecker but for style. It makes sure that your reader will focus on your message, not your prose. Too often, our words are like our thoughts – innumerable and disorganized. Almost any bit of writing could use some cutting. Less is more, etc. The Hemingway Editor will highlight (in yellow and red) where your writing is too dense. Try removing needless words or splitting the sentence into two. Your readers will thank you. The app also checks readability grade levels, words that can be simpler, passive voice and more. With CoSchedule Blog Post Headline Analyzer, users can write headlines that drive traffic, shares and search results. This tool can be used for blog post titles, email subject lines and social messages. SEMRush is a tool that is specific to finding profitable keywords. We're living in a time when SEO is at the forefront of a successful blog. SEMRush is a program many new and older bloggers are using to optimize their sites, create the content their audience wants and create a better experience for their visitors. For more information or to schedule a free one-on-one consultation, please give us a ring at 972-247-1369 or visit www.TrizCom.com.